Border Mechanical Services is a family owned business with it's head office located in Kelowna, BC. We specialize in providing maintenance,add on replacement and 24 hour emergency repair service primarily in the Residential and light Commercial marketplace. Border is proud to provide upfront pricing to our customer's and also provide the longest warranties on services provided. We try very hard to provide same day service and in certain cases able to be there within a 4 hour window. Our team of professionals deliver exceptional customer service and ensure 100% complete customer satisfaction. Also available to our customer's is a comprehensive Home Comfort Plan where we provide annual inspections & Tuneups on your home's Plumbing, Heating Air Conditioning & Electrical needs. Drain cleaning, clearing specialists. Video camera plumbing inspections. Clogged pipe clearing, broken pipe replacements, home warranty plumbing inspections, sewers and septic maintenance. 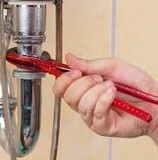 Plumbing installations and repairs, faucets, toilets, showers, sinks, drains. Our business is our livelihood but it is also so much more. Spec Group was started to fill in a void in the current market and to make a business that the people of Kelowna can place their trust in. Over the years we have never lost our commitment to our clients and that is what has allowed us to succeed in a very competitive industry. We stand committed to our purpose as we stand committed to the people of Kelowna. As a full service plumbing and heating company we can help home owners, strata buildings, commercial properties and more for any mechanical upgrade, or emergency plumbing issues. We service, install and repair all furnaces, water heaters, boilers and drain tiles. Call us for any size of issue, if your service can wait, we'll tell you so that you can save money and have us service your property on the following business day. If its an emergency, our local crew is always ready to help you. Blair Mechanical Services Ltd. offers a variety of home comfort services including plumbing, heating, air conditioning and indoor air quality. They have been in business and serving the Okanagan Valley from Vernon to Penticton since 1993. Their professional team of trained and licensed experts includes 15 employees and 8 trucks so there is always someone available to serve you. Their goal is to focus on taking care of whatever the customer needs, promptly and professionally and are committed to offering the best customer experience. We are a local custom plumbing company dedicated to service the Okanagan with Quality Above All. Working for many Tommie Award winning builders including Home of the Year 2017 we strive to provide the best quality plumbing & radiant heating systems. We have served the homeowners, business owners, and property management companies in Kelowna BC, consistently providing superb service and workmanship. We are very proud of the reputation we’ve built and continue to build. 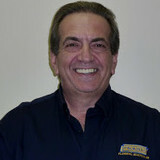 By providing our customers with the most highly-trained and experienced plumbing and heating professionals in the industry who are dedicated to their craft, we have been able to install top-quality plumbing and heating systems in their homes and commercial buildings that will last their full potential. Our high rate of customer satisfaction and loyalty has allowed Shamrock’s Plumbing and Heating to steadily grow and make our customers happy. 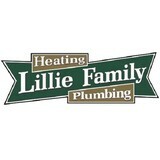 When we first started we provided other local plumbing and heating companies with relief services. This helped them manage their workload and provide customers with 24-hour emergency service. Those companies would bill customers directly, making a profit on what we charged them. Even when we did this, we were able to be profitable and grow our business, due to our highly competitive rates. In time, we made the decision to pass the savings onto consumers directly, foregoing the middleman. We have always provided the homes and businesses in Kelowna BC with the best deals in the industry because of this. Our plumbers and heating specialists are all highly-trained and certified and there is no one more experienced in taking care of your plumbing and heating needs, 24 hours a day, weekends and holidays included. If you have a need for routine maintenance, a clogged toilet or drain, or have a plumbing emergency, we can send out one of our highly skilled plumbing professionals to take care of the problem. Please call us for a free quote on repairs, new installations or any renovations you have in mind. Pick up the phone and call us today to find out more about Shamrock’s Plumbing and Heating services and how much our affordable rates will save you. A plumbing contractor handles the installation and repair of water, sewage and natural gas pipes throughout a home, as well as interior and exterior faucets and fixtures. Plumbing contractors are also trained to work with water mains, septic tanks, laundry appliances, water heaters, sump pumps and other plumbing and pipe systems. Because plumbing repair work is done largely behind walls and beneath floors, some plumbing companies can also patch or replace tile, stonework and other surfaces. Although some Summerland plumbers are generalists, others specialize in specific areas; a 24 hour emergency plumber will handle urgent residential repairs, while others may be more skilled in remodeling, natural gas lines, overhead sprinkler systems and more. Find a local Summerland plumber on Houzz. Narrow your search in the Professionals section of the website to plumbing contractors in Summerland, BC. You may also look through photos of Summerland, BC projects to find a licensed plumber who has worked on a project similar to yours. Here are some related professionals and vendors to complement the work of plumbers: General Contractors, Septic Tanks & Systems, Kitchen & Bath Designers, Kitchen & Bath Remodelers.